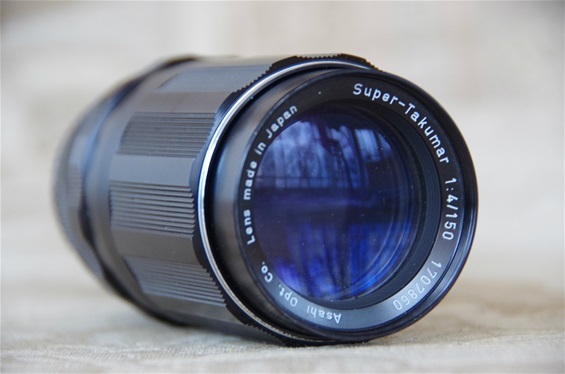 With the launching of the Asahi Pentax SV in 1962, Asahi also introduced the Super-Takumar lenses. 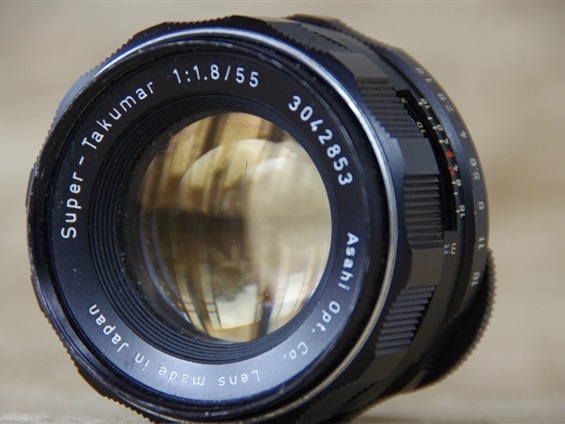 As shown under the Auto-Takumar chapter, the new lenses had in fact been on the market for two years on the Auto-Takumar 55/1,8 lens. 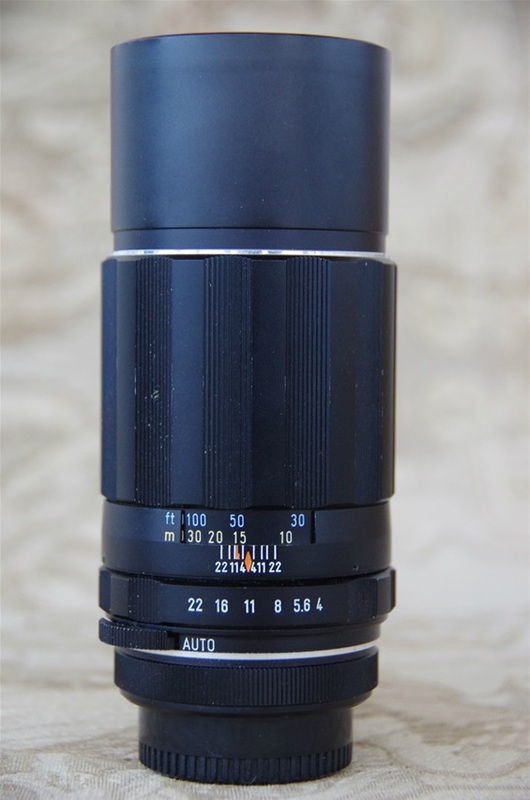 But those lenses were the exception, all others had the levers or handles. 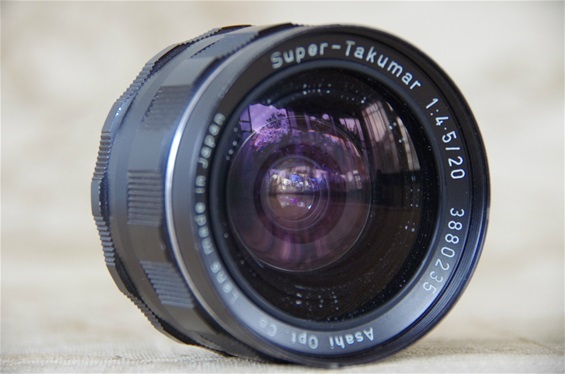 The Super-Takumar finally stated the new auto/manual switch. 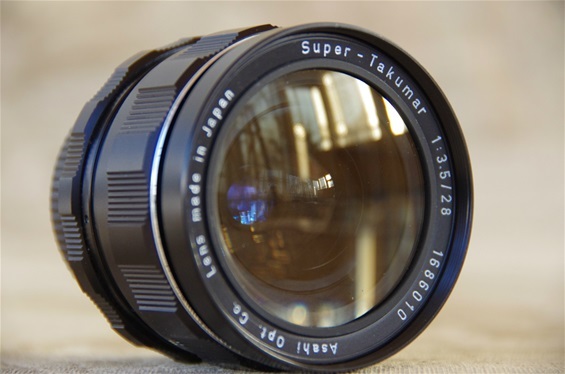 New Super-Takumars were produced until the S-M-C took over in 1971. New versions and models were developed all the time. 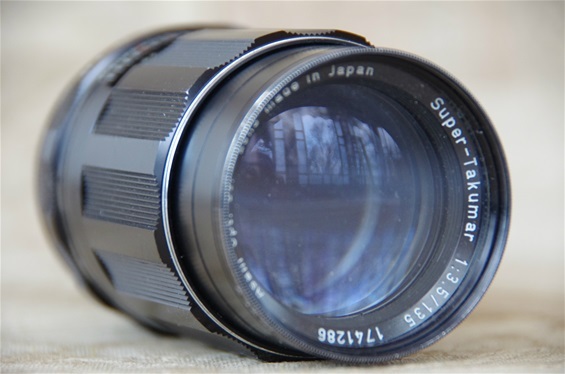 The 20/4,5 of 1968 was a well built and sharp lens that came to be the favourit extreme wide angel lens of many photographers. Sn: 3880235. Filterdiameter 58, weight 251 grams. 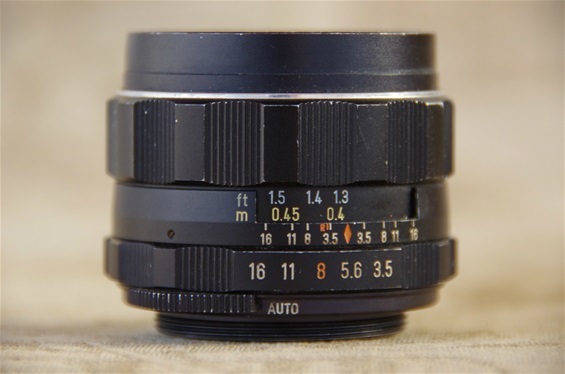 Aperture 4,5 to 16. 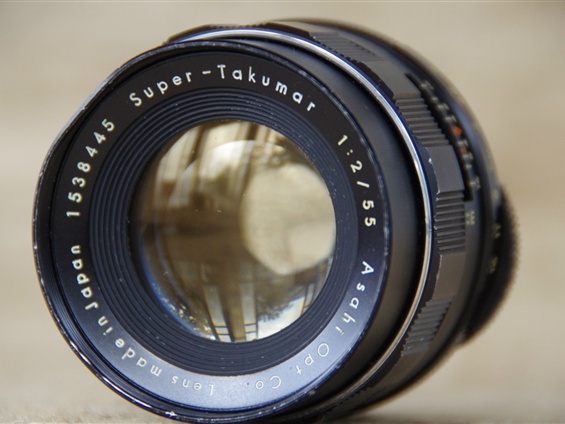 There were three different 28/3,5 Super Takumars: the first edition in 1962 version with 22 as smallest aperture. Then this one, the second edition from 1965, and quite like the first one, but aperture value up to 16. Sn: 1686010. 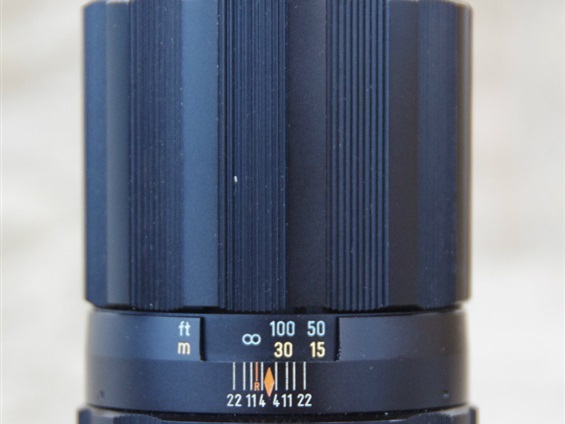 Filterdiameter 58mm, weight 260 grams. 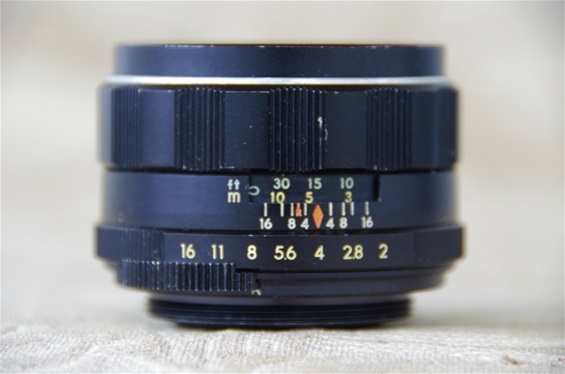 This smaller lens came 1966, one year after the second edition. Sn. 2360224. 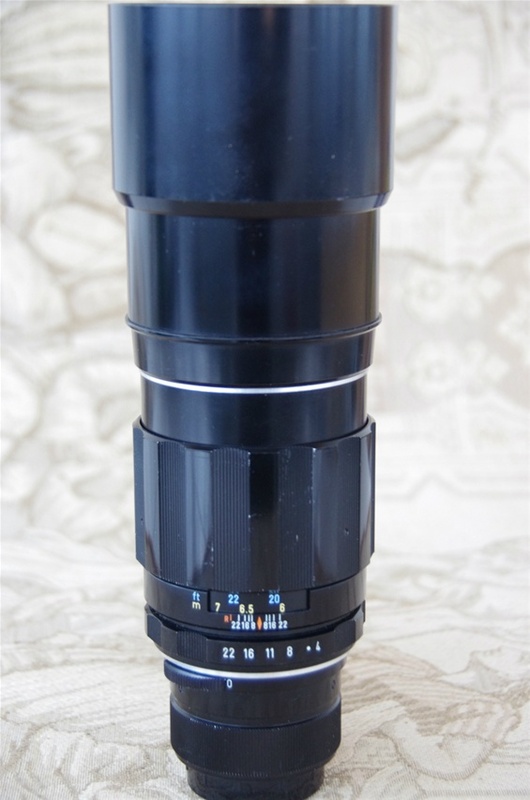 This is a smaller lens than the first version. 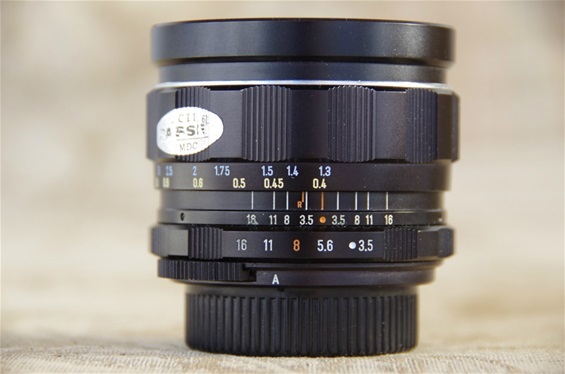 Filterdiameter 49mm compared to the 58. Weight 218 grams, compared to 260. First edition of the Super-Takumar 55/1,8 from 1962. Note the round shape of the switch. Sn. 839265. 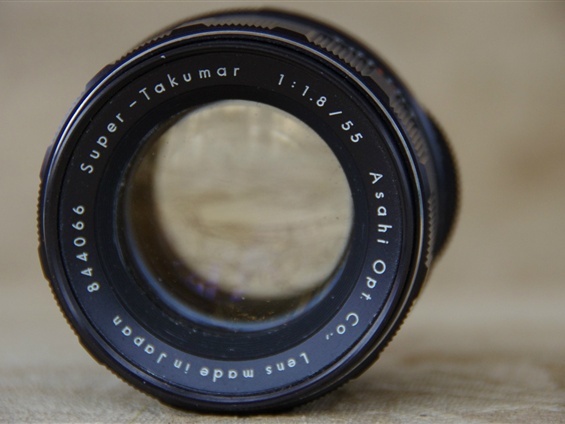 Exactly like the Auto-Takumar edition with full aperture opening setting to the left. 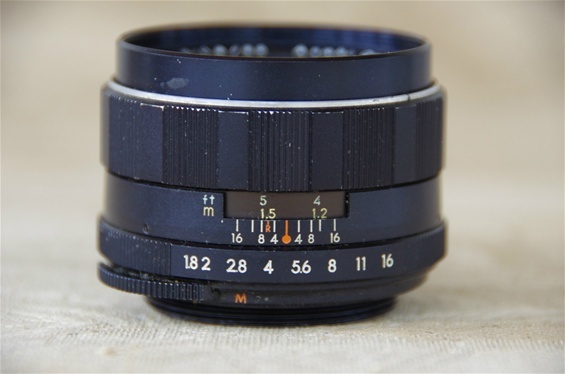 The switch is pushed to the left which sets the lens to M - manual mode. 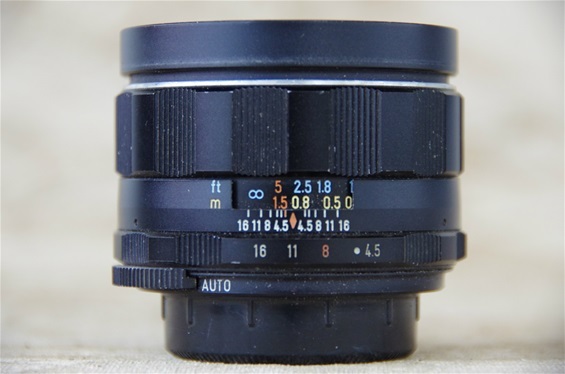 Push it to the right and a A or Auto appears, opening the aperture to focus and shoot. 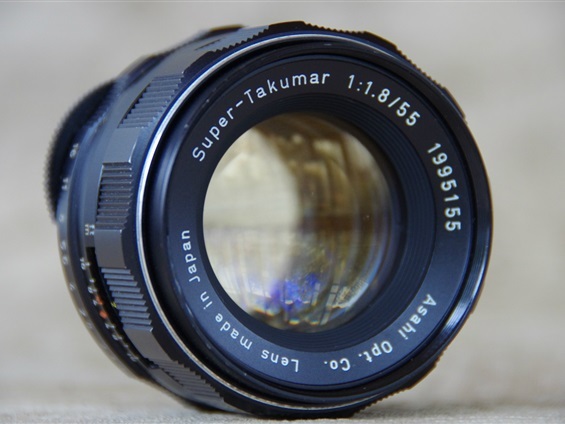 (On all other Super-Takumars this is mirrored). 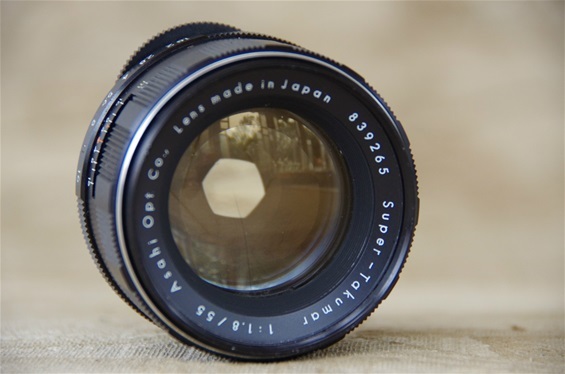 The lens automatically finds the preset aperture opening. Filterdiameter 49, weight 215 gram. 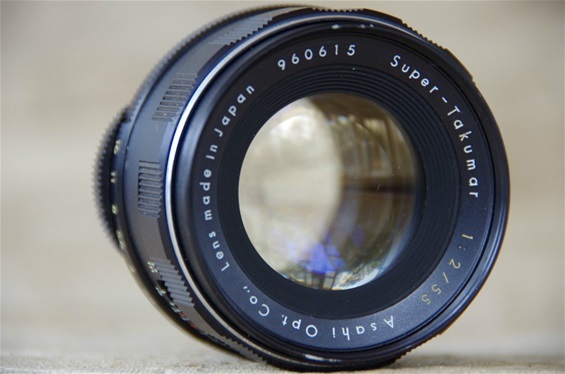 While the Super-Takumar 55/1,8 was made for the top model Asahi Pentax SV, 55/2 lens followed the less expensive S1a and S2 Super (sold only in Japan.) Sn. 960615. Filterdiameter 49, weight 215 grams. 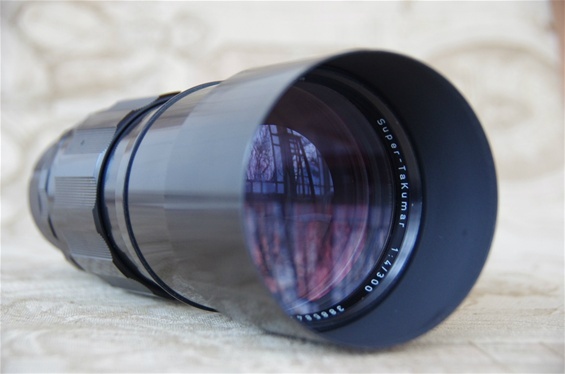 Exactly the same as the 1,8 version, which indicates that the two lenses were almost identical. 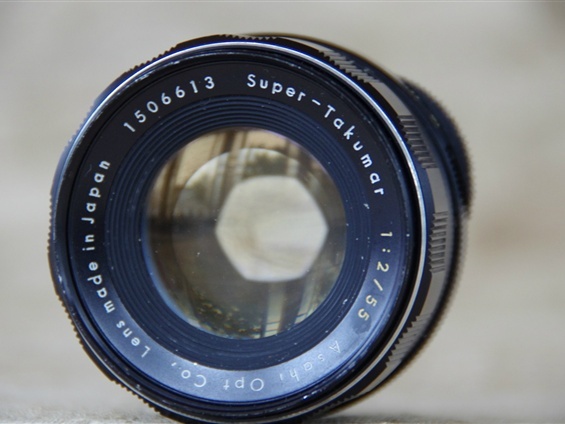 More Super-Takumar 55/2 lenses: 1506613, 1538445. 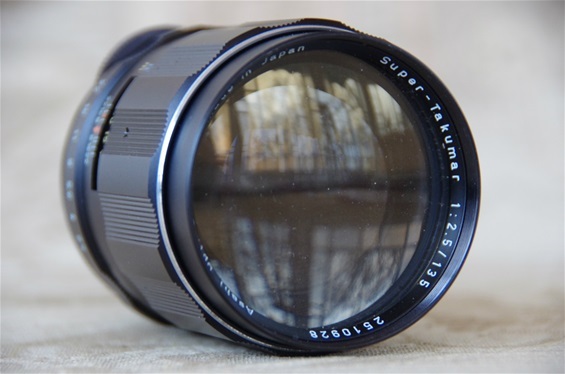 This high quality tele lens was introduced in 1965, following the Spotmatic of 1964. Sn: 2510928. 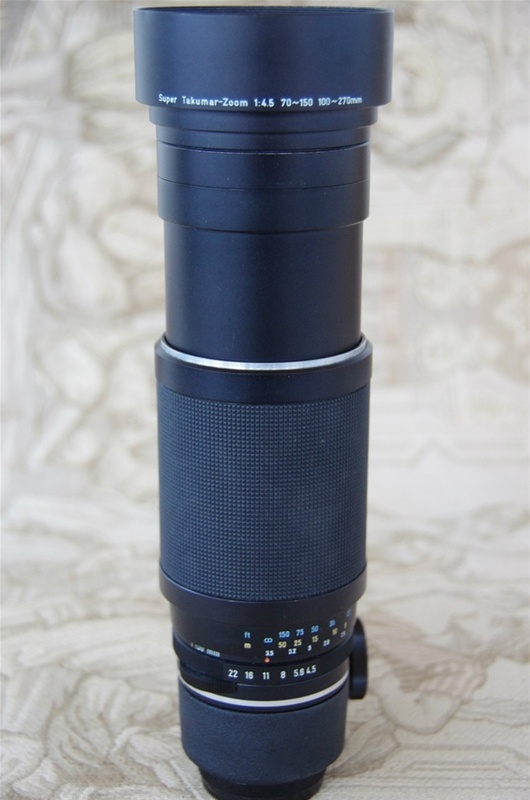 Not common, but Pentax introduced this 150mm lens in 1965. This first edition was followed by second, almost identical one in 1967. Sn: 1707860. 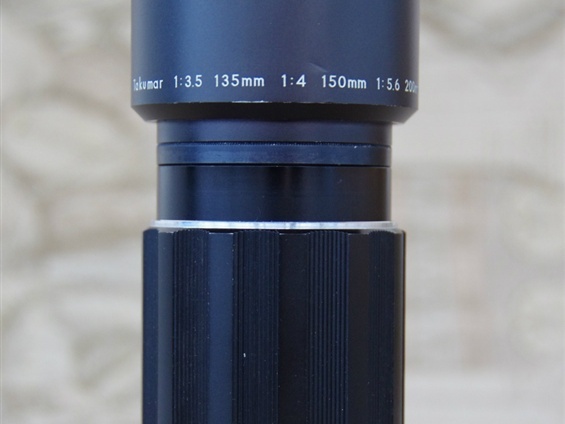 Filterdiameter 49. Weight: 324 gr. Also from 1965, building up a complete line around the very successful Spotmatic. Sn: 3363163. 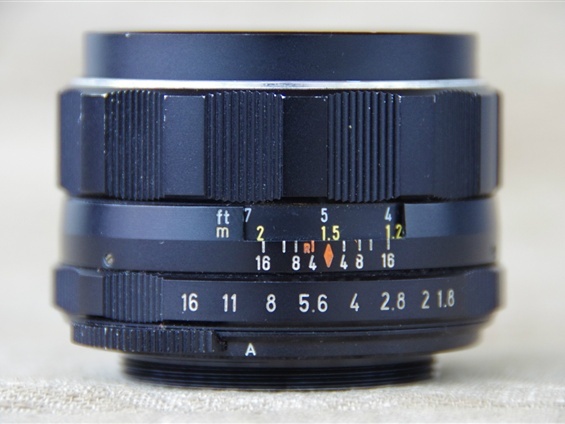 Filterdiameter 58mm. Weight: 560 grams. The 300/4, like most other tele Super-Takumars, was produced from 1965. Sn: 3885842. 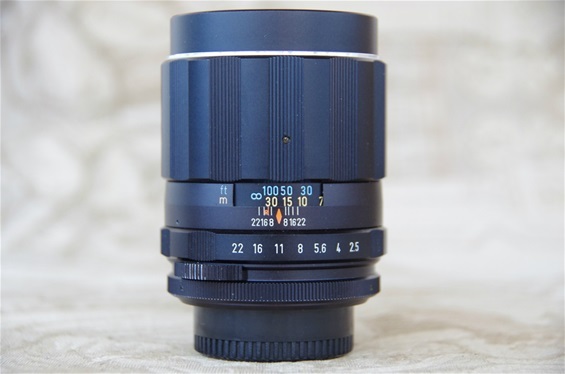 Filterdiameter 77mm. Weight 947 gr. 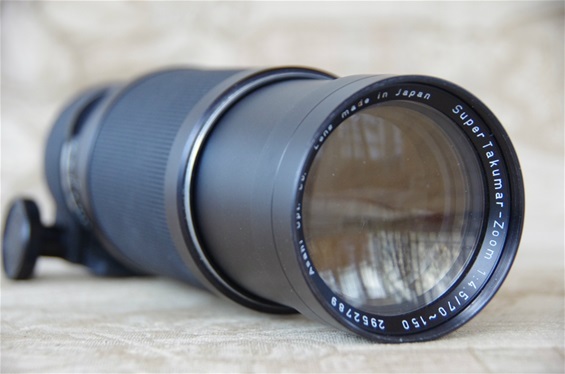 Pentax' first zoom lens, the 75-150. Sn: 2952789. 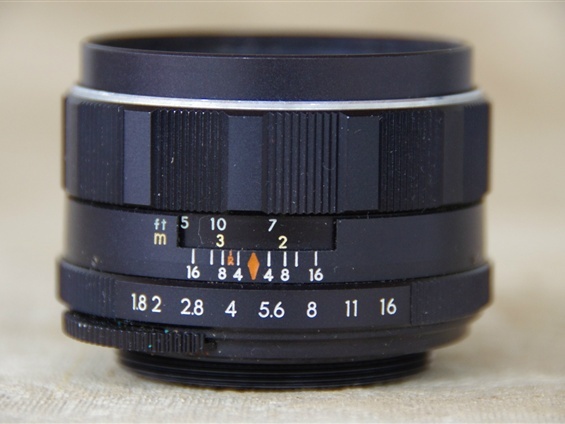 Filterdiameter 67. Weight: 1209 grams. The first ones were operated the "wrong" way, like the last Auto-Takumars. Then they went back to normal. If I understand you right, yours is a normal. 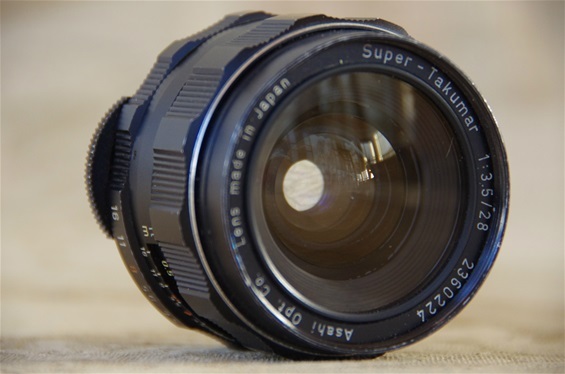 I have a Super Takumar 55mm f/1.8, serial number 954639, very similar to yours except the aperture scale and A/M switch go in the opposite direction. 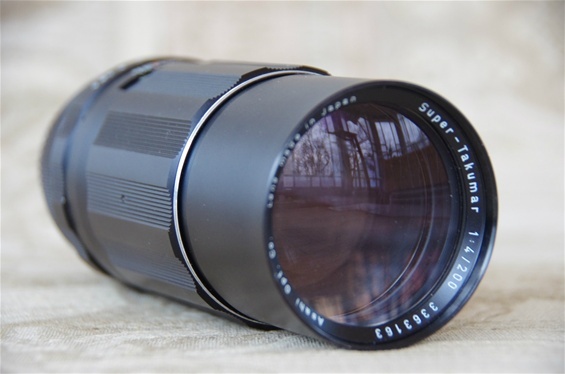 These are excellent lenses. I have several and use them on my film and digital cameras.